Chronic Obstructive Pulmonary Disorder (COPD), refers to a number of progressive lung conditions, such as emphysema and chronic bronchitis, which make breathing difficult, and consequently affects many aspects of a person’s quality of life. 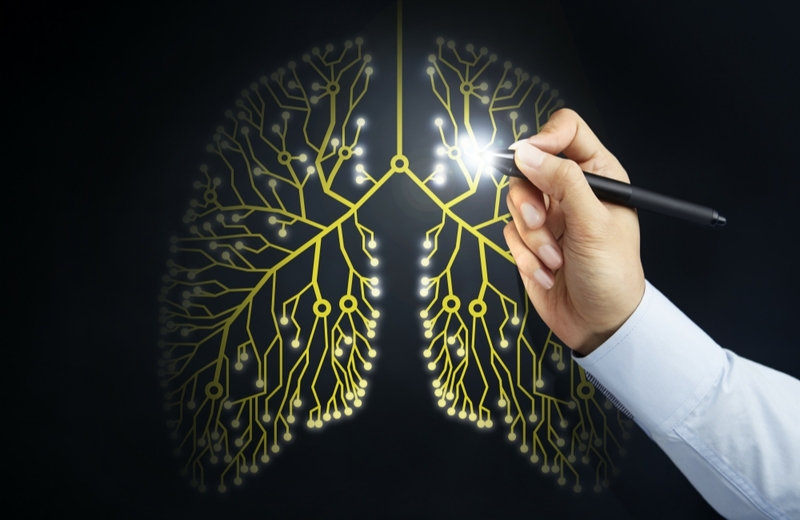 Those suffering with COPD have trouble getting oxygen into, and removing carbon dioxide from their lungs. The resultant lack of oxygen and buildup of carbon dioxide is one of the causes of the fatigue associated with COPD. Moreover, COPD damages the airways, which in turn causes the air sacs of the lungs to lose their tone. Consequently, it is difficult for somebody with COPD to empty their lungs completely, which leads to the need for greater exertion in order to breathe. This also causes fatigue. Although there is currently no cure for COPD, there are a variety of treatments that can help reduce its symptoms. Medications such as bronchodilator inhalers can help with shortness of breath. Albuterol inhalers help widen the lungs’ airways, while steroid inhalers reduce inflammation in the lungs. For some people, oxygen therapy is required. The effects of COPD are not restricted to breathing. In addition to fatigue, depression is among the most common side effects of this disease. It is important to be aware of the fact that, in addition to the various COPD treatments, there are a number of lifestyle to changes that can make living with COPD easier. Breathing exercises, and in particular, pursed lip breathing, are known to improve fatigue. Be sure to do this with instruction from a licensed pulmonary rehabilitation therapist. An anti-inflammatory diet is known to be healthy for those with COPD. This diet includes eating lean protein, particularly fish; avoiding simple carbohydrates, such as refined grains and sugars; eating green leafy vegetables, cruciferous vegetables, such as broccoli and cauliflower; and partaking of healthy fats, such as olive oil, nuts, and seeds. Exercising regularly, even when fatigued, can be extremely beneficial for those suffering from COPD. Simple exercises like walking, lifting light weights, yoga, or tai chi can be very helpful to both health and mood. Needless to say, anyone with COPD should obtain their doctor’s permission before starting any exercise regimen. Hydration is very important for a person’s energy level. The American Lung Association recommends that people with COPD drink between 6 and 8 eight-ounce glasses of water daily. Spreading this drinking over the course of the day will help to avoid periods of dehydration, and also prevent mucus from building up and becoming thicker, worsening COPD symptoms such as coughing. The relationship between adequate sleep and one’s overall health is well-established. While this is true for everyone, it is especially important for those suffering from COPD. Since the coughing and shortness of breath that often accompany COPD often makes sleeping difficult, it is important to develop good sleeping habits. Proper sleep hygiene includes going to bed and waking up at the same time each day, avoiding caffeine, and relaxing in the hour or two before going to bed. In particular, one should turn off all electronic devices, such as TVs, computers, and cell phones at least one or two hours before bed. Enroll in a pulmonary rehabilitation program, such as the program at Laurel Bay Health and Rehabilitation Center. Most health insurance companies, including Medicare, cover pulmonary rehabilitation for COPD. Laurel Bay, in the scenic beach town of Keansburg, NJ, specializes in pulmonary care. Headed by leading pulmonary specialist Dr. Avtar Parhar, our program is the most highly advanced pulmonary rehabilitation program in Monmouth County. At Laurel Bay, we focus on restorative and preventive care for those who suffer with chronic respiratory disease.